As the capital of North Carolina, Raleigh combines the elements of a classic Southern city with the ingenuity of contemporary industries. Boasting rich heritage and a wide array of cultural attractions, “The City of Oaks” has something to offer every visitor. Often hailed as the most popular destination in Raleigh, the Museum of Natural Sciences is the oldest established museum in the state, founded in 1879. Visitors of all ages can escape to another time within these walls, with exhibits like a mounted specimen of the extinct Carolina parakeet and the partial trunk of a 700-year-old bald cypress tree on display. 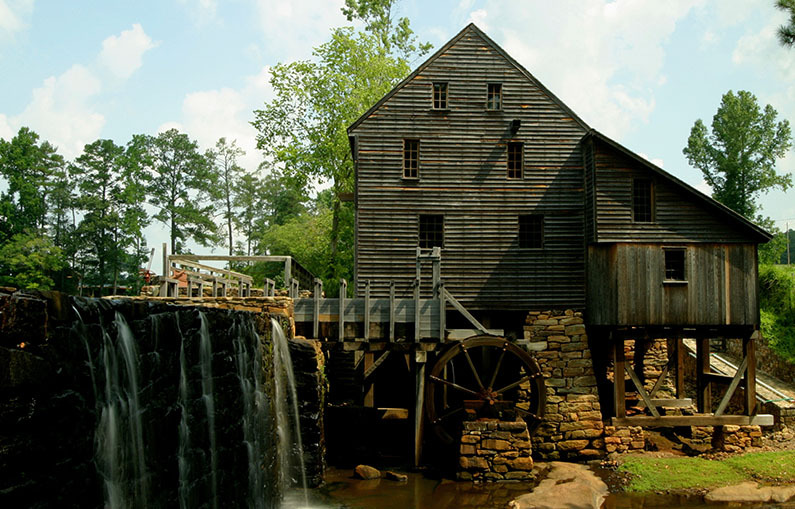 No matter where your interests lie, the museum’s meticulously crafted displays host a fascinating insight into the North Carolina of days past. As one of the top textile producers the state, Raleigh is home to a breadth of research and design. The Raleigh Denim Workshop, created in 2007, is the product of two local textile makers’ innovativeness and passion for local business. Are you on an endless quest to find the perfect pair of jeans? Look no further than the Workshop and its counterpart store, the Curatory. A group of talented designers called “jeansmiths” are based in the downtown space, using old-fashioned machines to create custom pairs of jeans. Stop by and see—your endless quest might just find its end in downtown Raleigh. You learned all those state capitals once upon a time, and for each capital city, there is a capitol building. Completed in 1840, North Carolina’s Capitol building is one of the best. Constructed in a Greek-Revival style architecture, the building boasts fine masonry work and fabulously preserved detailing. There are also over a dozen monuments on site, including a tribute to the “Presidents that North Carolina Gave the Nation.” A visit to the capitol is part history lesson and part what makes Raleigh great: a tangible pride for North Carolina and its forefathers. To plan your trip to Raleigh or for an extended guide of things to do, visit the official Raleigh city guide at http://www.visitraleigh.com.